Halickman & Farley is a boutique firm specializing in family law. 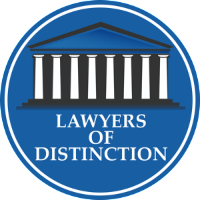 As experienced attorneys, both in and out of the courtroom, we are fierce and intuitive advocates for our clients. As conscientious professionals, we are adaptable to changing situations and needs, and we know how to uncover creative solutions. As caring mothers, we are sensitive to cases involving children. With more than 30 years combined experience as attorneys, we are also certified mediators and trained in collaborative law. The care and attention we give to you, our client, is just as important as the expertise we retain to represent you. We respond to phone calls within 24 hours, and you will have 24-hour access to us, if needed, once you retain our services. What’s more, you can relax knowing you will deal directly with us, not support staff or paralegals. As a small practice, we keep our billing fair and competitive. We charge a flat fee for an initial consultation, but waive that fee if you decide to hire us. When it comes to your investment, we take special care to manage your expectations. We are upfront and reasonable. After all, like can be tough enough without the added anxiety of financial surprises. 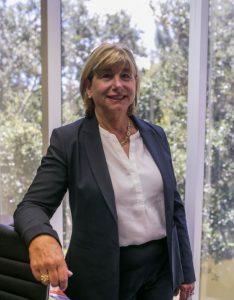 With more than 25 years experience as a family law attorney, Doreen B. Halickman has tried cases before judges, negotiated and settled simple to complex cases and drafted hundreds of marital settlement agreements as both an attorney and mediator. 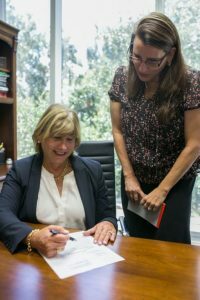 She was certified by the Florida Supreme Court as a Family Mediator and certified in Dispute Resolution by the University of Connecticut and Quinnipiac University School of Law Center. Prior to relocating to Florida in 2004, Ms. Halickman was a partner at Biller, Sachs, Raio & Bonadies in New Haven, Connecticut. There, she practiced family law, personal injury and employment law and remains of counsel to the firm. Upon relocating to Florida, Ms. Halickman decided to concentrate solely in family law and worked as a Florida Supreme Court Certified Mediator for the 15th Judicial Circuit, Palm Beach County, Florida. Also during that time, she studied for and passed the Florida Bar. Ms. Halickman practiced family and marital law at the prestigious law firm of Fox, Wackeen, Dungey, Beard, Sobel, McCluskey & Bush in Stuart, Florida. In July 2007, she opened her own law firm in Jupiter to be closer to her husband and school-aged daughter, Kate. And in 2018, she partnered with Christine Farley to bring an even greater depth, experience and expertise to clients. Ms. Halickman received her Bachelor of Science in Nursing from Seton Hall University in New Jersey, her Master of Science in Health Care Management from Rensselaer Polytechnical Institute in Connecticut and her J.D. from the University of Connecticut School of Law. Ms. Halickman is known for her professionalism and strong work ethic. She consistently keeps her clients up to date on their cases, and provides realistic, practical and often creative “outside the box” advice. 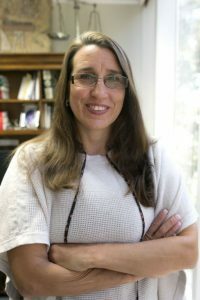 A native of Danbury, Connecticut, Christine B. Farley earned her B.S. in Communications from the University of Connecticut in 1992 and her law degree from Northeastern University School of Law in Boston in 1995. During law school, she completed four internships, including one with the State of Connecticut Attorney General’s office. Ms. Farley launched her career in Rhode Island, working from 1995-2005 with H. Jefferson Melish in special education advocacy and family law. She then joined Coia and Lepore where she practiced civil litigation and family law, among other areas of specialization. Moving to Florida in 2007, Ms. Farley served a stint in the non-profit and education fields, including working with Seagull Industries for the Disabled. In 2012, she was admitted to the Florida Bar and began working as an associate with her now partner, Doreen B. Halickman. Ms. Farley is an active member of her community, volunteering at Calvary Church in Jupiter Farms and Renewal Coalition, which provides support services for young veterans. She serves on two boards: Exchangettes of the Palm Beaches and the Gardens School of Technology Arts. As a divorcee with two children, Christine is aware of the practical implications of raising children with a former partner. She shares her personal experiences to help clients traverse what is oftentimes a traumatic life experience.